Grand Tea has provided me with Premium Gun Powder for the purposes of providing an honest review. I received this product at no charge to me and received no other compensation. The tea leaves are tightly rolled, with a beautiful mix of the green and pale cream colours in the leaves. The tea is called Gun Powder because it resembles gun powder pellets. I’ve had rolled teas before, so I’m always curious about how much the tea leaves will unfurl. 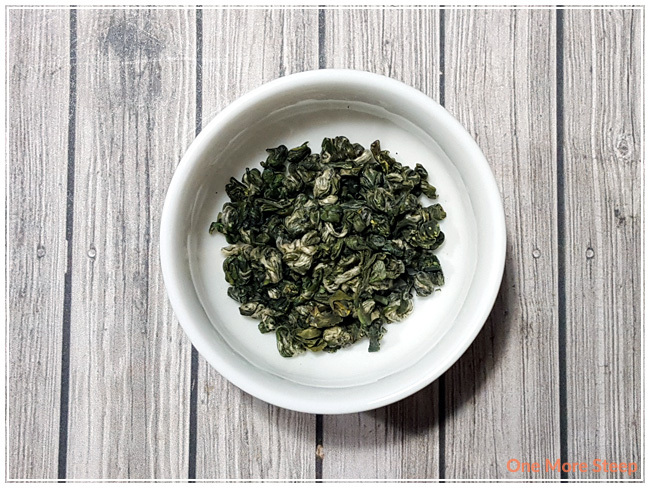 From Grand Tea’s website, they mentioned that their Gun Powder tea uses high quality young leaves – which is why the leaves still have the downy feathers on the leaves. Premium Gun Powder has a bit of a grassy-vegetal smell to it. This green tea’s only ingredient is the tea leaves themselves. As with most rolled teas, you shouldn’t use a spoon to measure how much tea to use because it will greatly expand. I use a stainless steel infuser in my tea pot and pour enough tea into it until there’s a thin layer covering the base of the infuser. 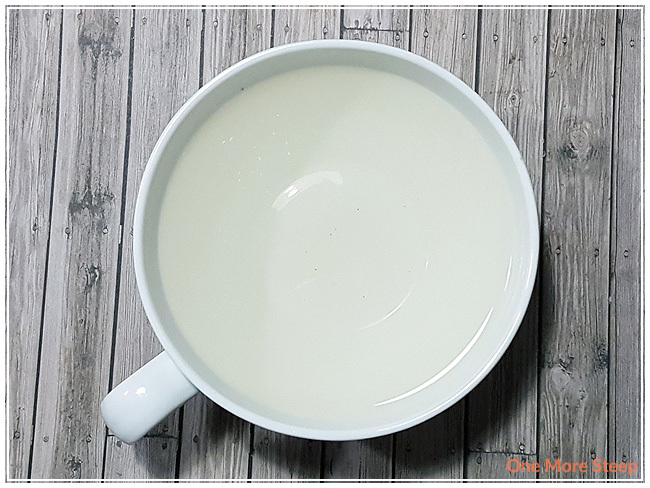 This is an incredibly generous sample provided by Grand Tea with their Premium Gun Powder. I used about a fifth of their sample packet’s contents for my tea pot. I couldn’t find preparation information on Grand Tea’s product page, so I used the green tea setting on my Breville IQ Kettle (80°C/175°F) and did an initial steep of 90 seconds. After a quick steep of 90 seconds, I had a nice pale green tea. The smell of Premium Gun Powder is stronger than it tastes, with strong grassy notes in the aroma. The tea itself has a light sweetness to it, with a mild flavour of grassy-vegetal notes. With only a 90 second steep, Premium Gun Powder is pleasant with zero bitterness or astringency. I always try to keep the water temperature low for green teas because they can burn so easily and I generally don’t enjoy bitter tea. The tea leaves opened up quite a bit, but not fully with the initial 90 second steep. I steeped Premium Gun Powder a total of 5 times (4 resteeps), with an additional 30 seconds per sequential steep. 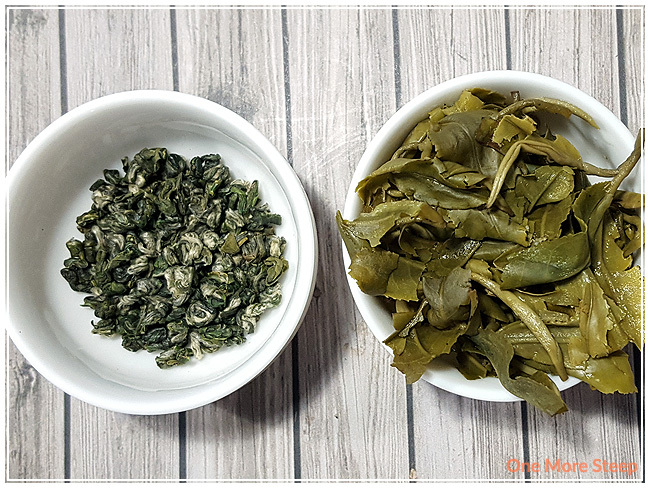 I noted that the flavours were strongest in the first resteep, and the grassy-vegetal flavours held up very well throughout all of the steepings that I had done with Premium Gun Powder. I loved Grand Tea’s Premium Gun Powder. 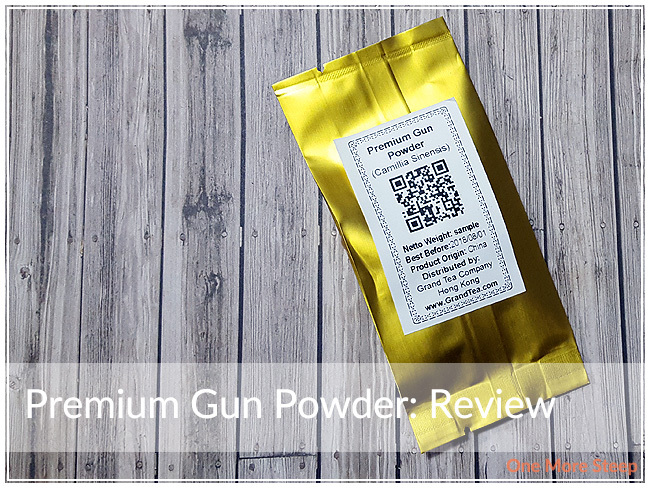 I’m always a fan of a good quality tea that can be resteeped over and over again, and Premium Gun Powder did not disappoint on that front! From dry leaf to steeped tea, Premium Gun Powder remained consistent and had a nice vegetal flavour to the tea. It’s a nice mild tea that could be easily paired with sweets or savouries, if you’re looking for a food pairing. The mild sweetness in this tea is a nice touch, as it doesn’t require anything and I think it should be had plain.